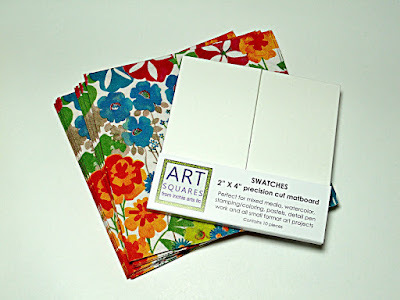 Inchie Arts NEW 2 x 4 Swatches in white and decorative paper napkins. …and transformed them TO THAT. 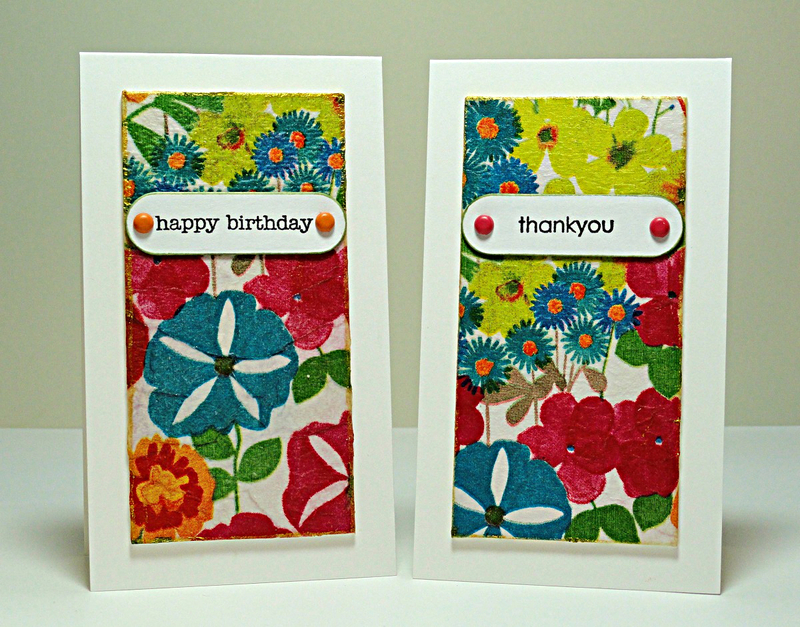 Let me pause for a moment to interject how much fun I had making these colorful little canvas cards. Please keep my secret on how quick and easy these were to create. Tall and narrow cards are some of my favorites and these Inchie Art Swatches snuggle on top of a 2.75 x 4.75 card base so lovely. All you need to do is cut the napkin to the size of the Swatch and peel away the second ply of paper. 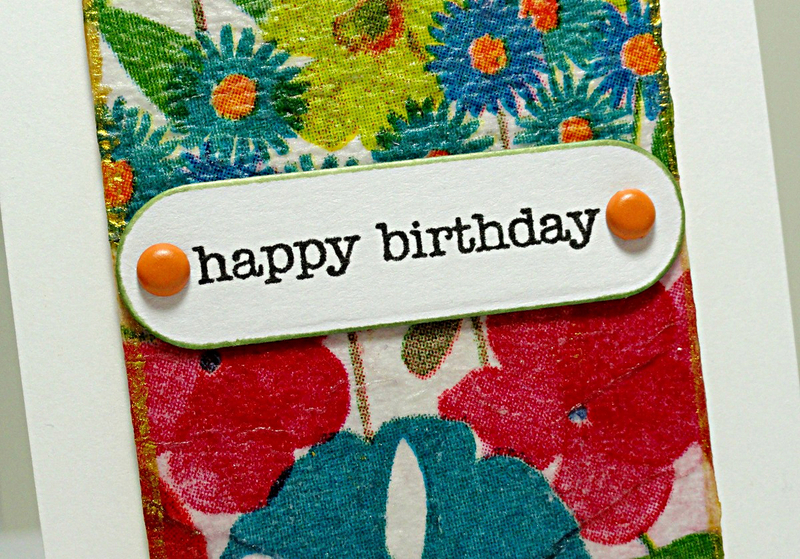 (You will want to use the top colorful portion.) Paint a thin coat of matte medium (or Mod Podge) on the Swatches, apply the cut napkin and gently smooth the two together. Let dry and add additional coats of matte medium. I used a heat tool to speed up the process, but made sure not to have the heat too close to the Swatch to prevent the matte medium and napkin from bubbling/burning. If you want to cut the napkin larger than the SWATCH, you can always trim away any excess after the piece has dried. The Inchie Arts Swatches are fabulously sturdy and don’t warp when applying several layers of matte medium. Plus, the sumptuous thickness gives the project nice dimension eliminating the need to use dimensional foam tape. To finish the design, the edges of the Swatches were inked with Delicata Golden Glitz ink using the direct-to-paper method. 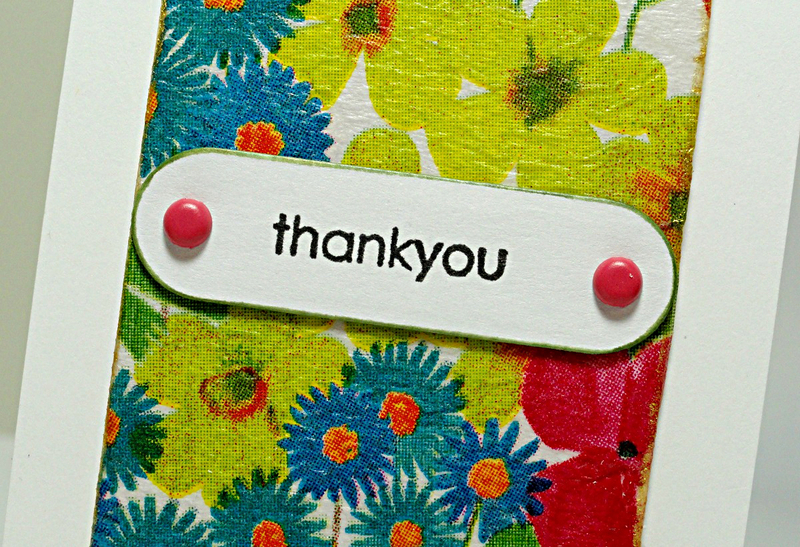 The cute little sentiment tabs were created by die cutting white labels (Penny Black - Tagged 51-007) and stamping the greetings (Penny Black - Snippets 30-283) in Onyx Black VersaFine. 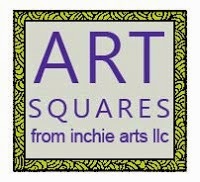 Looking for additional Inchie Arts inspiration and projects? Be sure to visit their BLOG and FACEBOOK page. You can also view a fabulous video by my pARTner, Jill, (HERE) which also features the new Inchie Art SWATCHES.